REMINDER: SCRIPT CALL THIS SUNDAY! 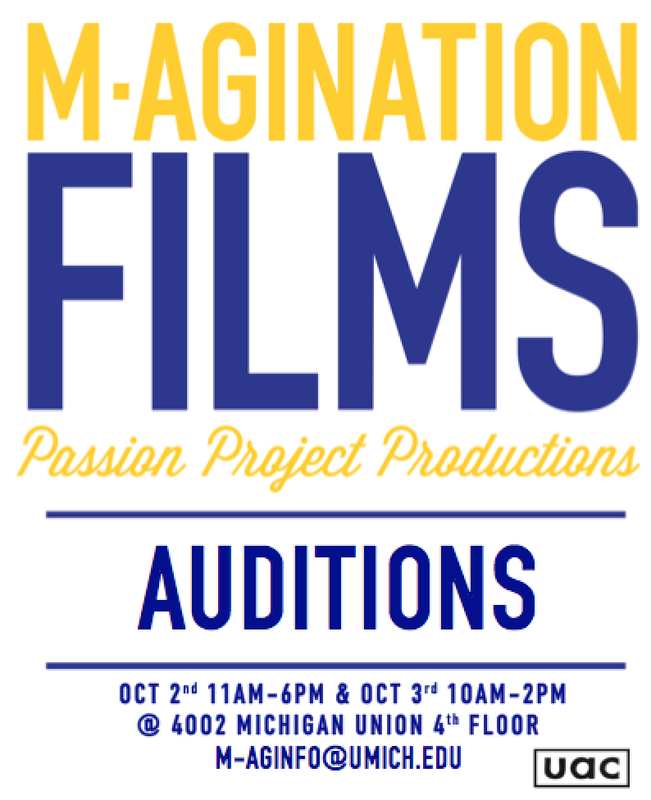 It’s not too late to get your script/treatment/outline/story board/idea into M-agination Films for our fall slate selection! 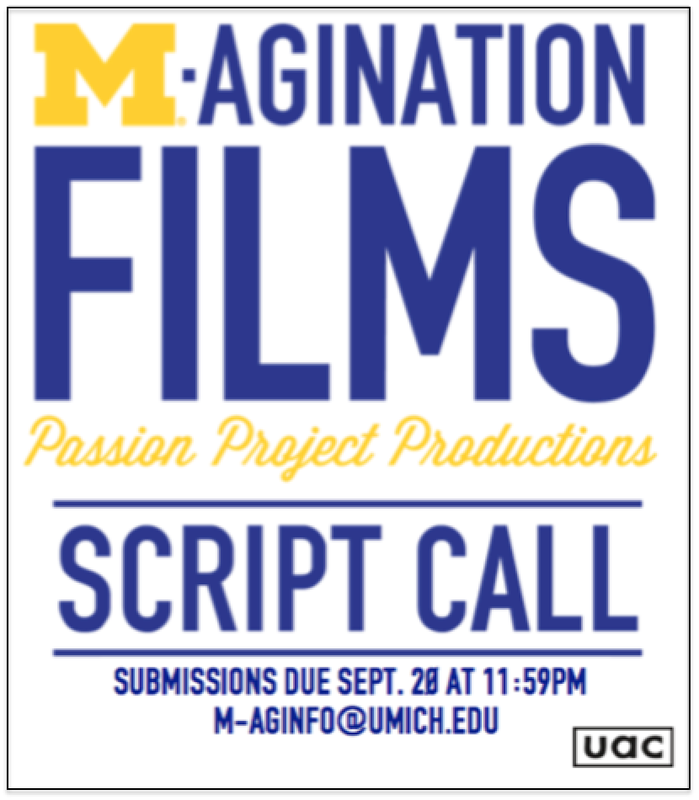 If you want to submit, please email a PDF of your project to m-aginfo@umich.edu by 11:59pm Sept. 20 (which is this upcoming Sunday). Don’t miss your chance! See the general guidelines here. 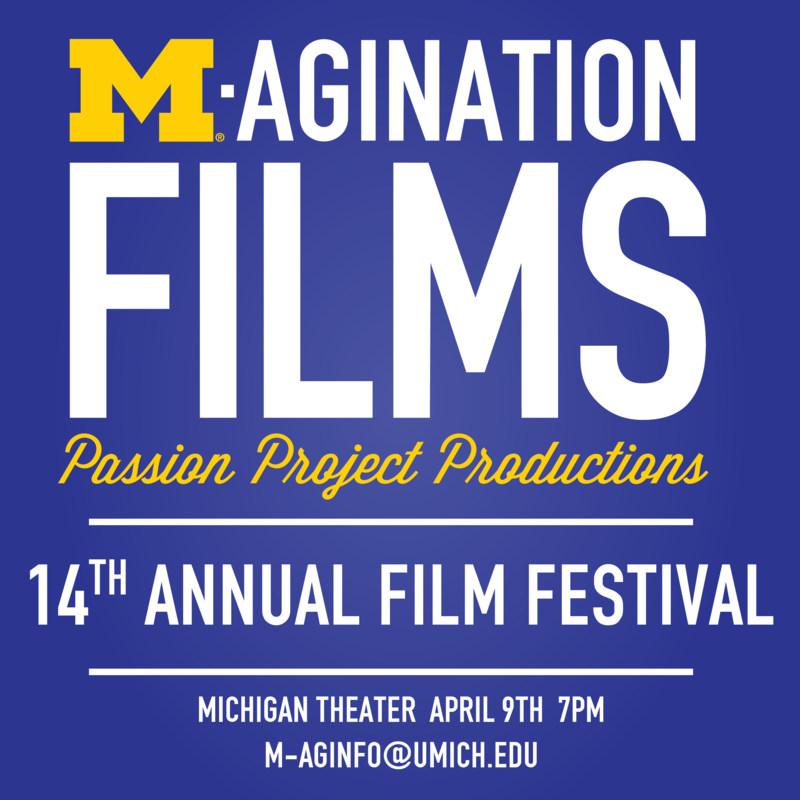 We’re so excited to kick off M-agination Films 15th year! To get things started, we’ll be holding our fall semester mass meeting this upcoming Monday, the 14th, at 7:30 in 3437 Mason Hall (tomorrow). This is a great opportunity to meet some of our producers, see some examples of our past work, and ask any questions you may have. Can’t make the mass meeting? Don’t worry! Check out our Get Involved page to see how you can get involved with us on any step of the process. 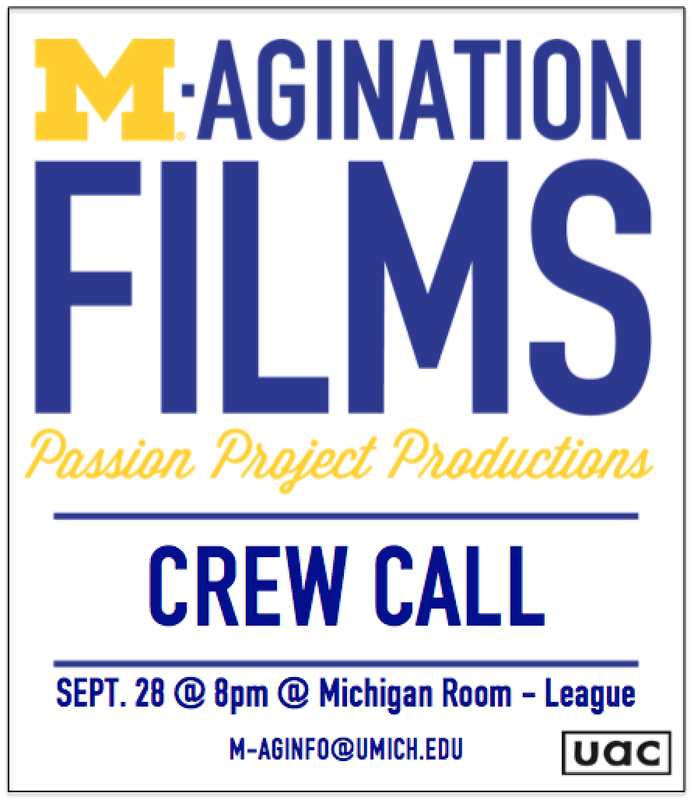 And remember, if you have any questions feel free to email us at m-aginfo@umich.edu. Become an M-agiantion Films Producer! 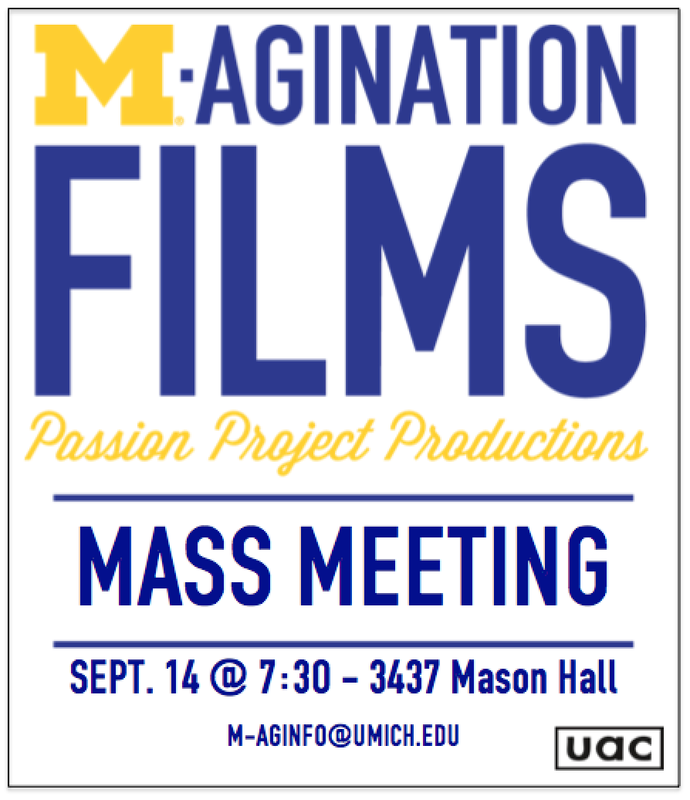 Interested in becoming more involved in M-agination Films? Apply to our 2015-2016 Producer Board! You’ll be involved in choosing our projects, producing one to two short films per year, and making our annual festival come to life. We have bimonthly meetings, but the majority of your time commitment will be spent working on your passion project (location scouting, scheduling, checking out/managing equipment, solving problems, etc). It’s an invaluable experience if you are interested in going the industry as you’ll be involved everything from development to casting to post-production. 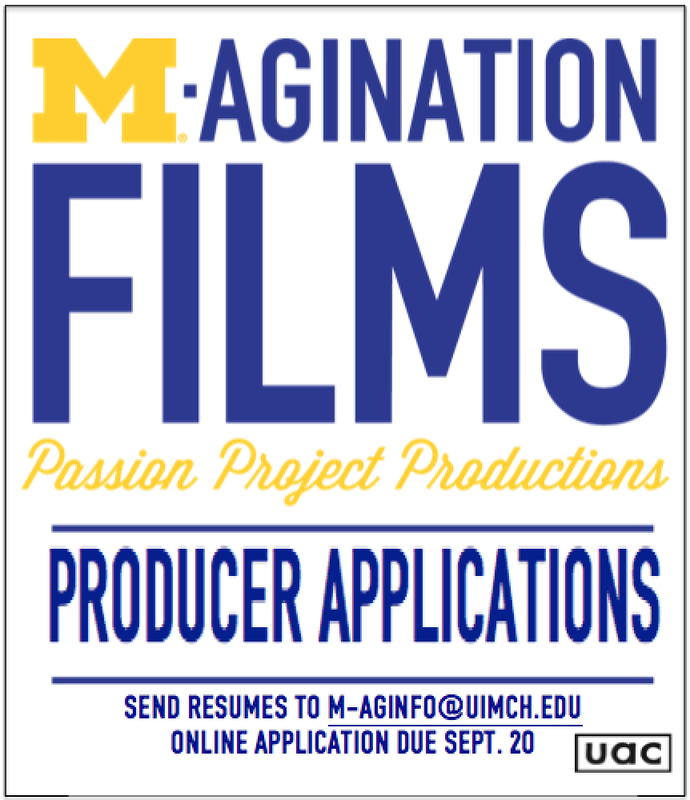 Send your resume to m-aginfo@umich.edu by Sept. 20 and we will send you the online application (also due Sept. 20). New to filmmaking but still want to be involved? We want to hear from you! Ask about our associate board in your application. Interested in writing an M-agination Films project? This is your chance. We are happy to announce the deadline for our Fall 2015 Script Call will be Sept. 20 at 11:59pm. Check out details and rules on our Get Involved page, and watch past projects here.